I sometimes jokingly call myself a ‘lazy horse owner’. Why? Because I rather spend a bit of time training my horse than deal with undesired behaviour day in and day out and get frustrated all the time. Here is a video of me getting Kyra out of the pasture. Since I started clicker training horses, I discovered a huge change in their attitude towards me. I have changed from being (I am guessing here) ‘not so much fun’- to be around to ‘I rather be with my human than with my herd’ attitude. 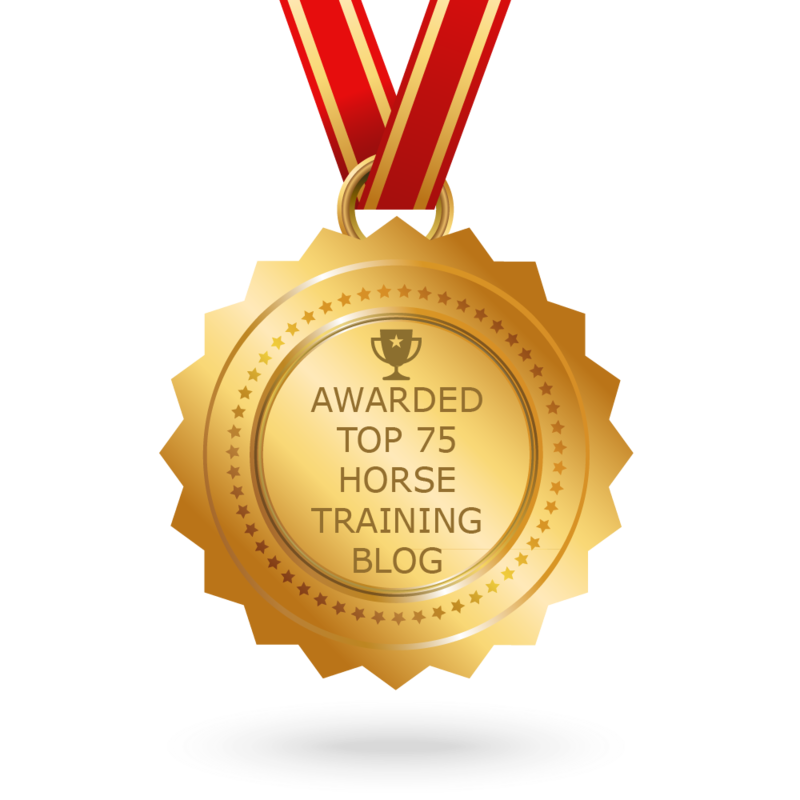 Just by switching from traditional/natural horsemanship methods to positive reinforcement. It is not only the food rewards that make my training interesting. I think it is also the puzzles my horse must solve in order to get that click. She is not afraid to try out new behaviours, she is not afraid of being punished for displaying her ideas. On the contrary, she is encouraged to think and to figure out what it is I want from her. So the first step in getting a horse interested in coming out of the pasture is to ‘offer’ something. Be more reinforcing than the herd and the hay or grass. What you see in the video is actually a chain of learned behaviours. These are the steps I all trained separately. I taught Kyra to respond to her name and come to me. I used targeting to teach her that. As you can see, I don’t need a target anymore and I even don’t need to call her. If she sees me, she wants to be with me. I taught her to always stop before an open gate and wait for a cue. I reinforced her in the past (click & treat) for stopping and waiting until I clicked my lead rope to the halter. The second step in this proces is to reinforce her for the opposite behaviour too: walking thru the gate on my cue. I always teach my horses to turn around on cue, so I can close the gate safely. After walking calmly thru the gate and turning around, Kyra has to wait for me to close the gate. I have reinforced this step many, many times. I realize that I need to be more reinforcing than the juicy grass patch on the outside of the fence. I don’t want her to drag me to places she wants to go. I have often clicked for waiting while I closed the gate. I used a lot of high value treats, like a whole handful of pellets. Every horse and every horse person knows the grass is greener on the other side of the fence. I have taught Kyra to wait for my cue to graze and to follow my lead if we want to get away from the grass. As you can see in this video Kyra walks over to the grass (I wasn’t paying attention), but she is also willing to leave the juicy patch when I gently ask her to follow me. This was a difficult lesson to teach Kyra and I did a lot of trial and error in this process. I can do a whole blog post on just this topic. I taught my horse to walk with me without pulling the lead rope. Is getting your horse out of the pasture just as easy? Let me know what difficulties you have and I can help you find +R solutions. It is fun to ‘work’ on that. If she stands an waits for you, that’s half of the process. Next step it to wait until she moves towards you. Reward the smallest step that leads towards your end goal.Have fun!